Start a Christmas Family Tradition of a Handmade Ornament Exchange. 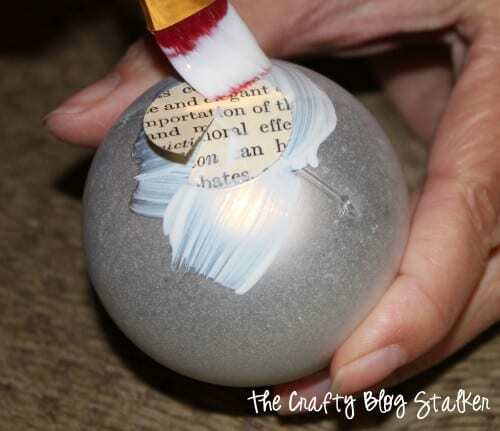 An easy DIY craft tutorial idea for keepsake Christmas Ornaments. Every year my family does a Handmade Christmas Ornament Exchange. This is one of my very favorite family traditions. There are 7 kids on my side of the family, we are all grown and married and my mom likes to participate too. How it works is everyone makes 8 ornaments. Then we exchange our ornaments around Thanksgiving time. Everyone in the family ends up with 8 different handmade Christmas ornaments every year. These ornaments have become a keepsake to me and I love decorating my tree every year pulling out the ornaments from years past. It really is a fun tradition. 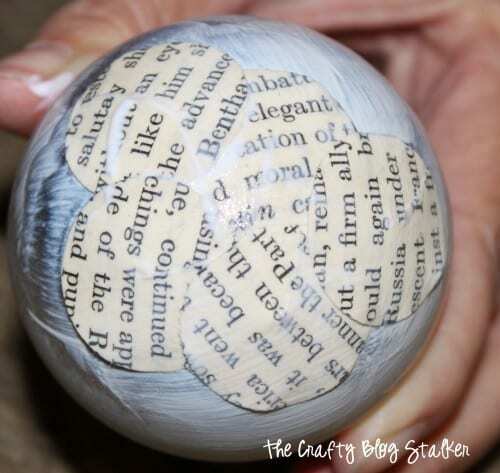 This year, I am creating my ornament with old book pages and Mod Podging them together. 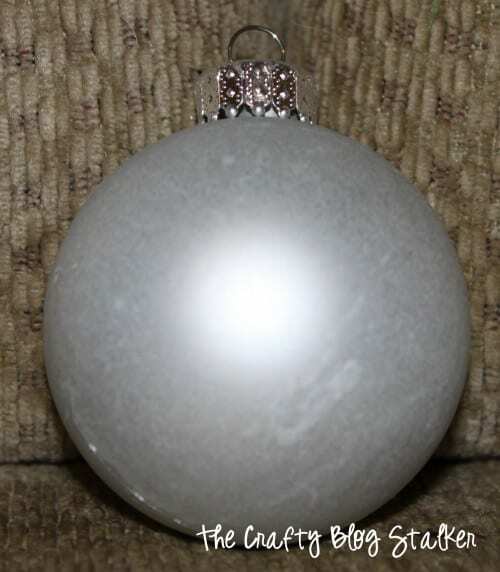 I started with a plastic ball ornament. I like that it won’t break ensuring that my ornament will last even longer. 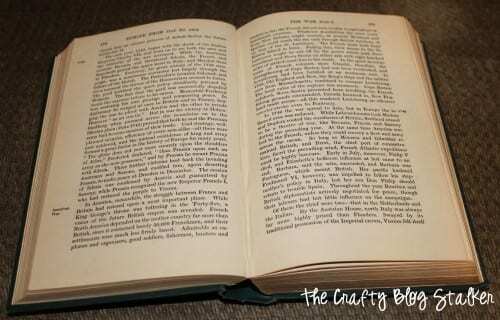 I purchased the old book at my local goodwill. I tore out pages and began to punch out the circles. I also cut a slit half way through the circle with a pair of scissors. This will make the paper circle lay nicer on the round ornament. I found it easier to work on small areas of the ornament at a time. 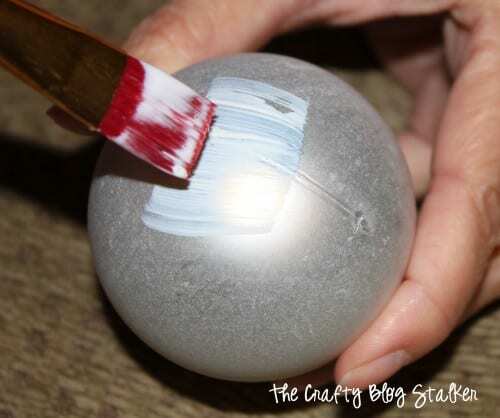 Dip the paint brush in Mod Podge and paint a small area. 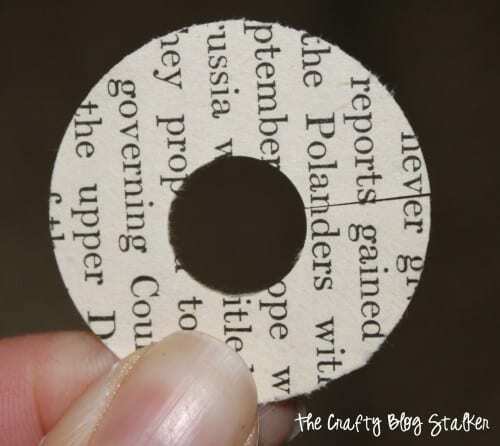 Apply one of the paper circles and press it down. 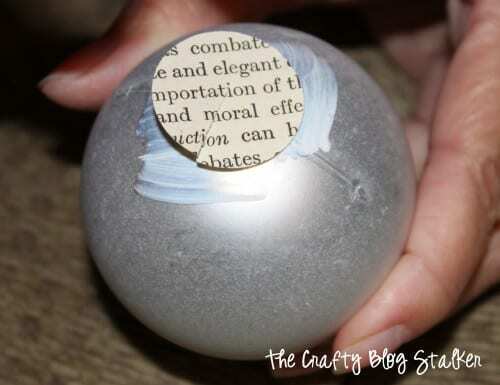 Paint another layer of Mod Podge over the top of the paper circle as well. Continue moving around the ornament to cover it completely. 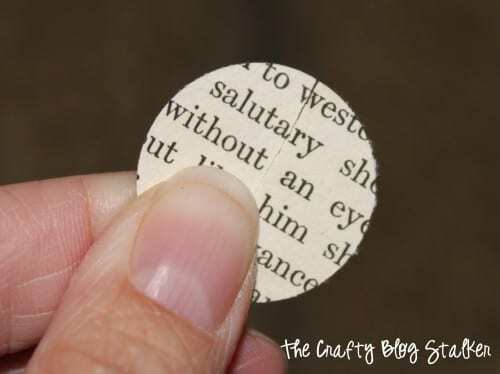 When you get to the top, cut a small hole in the center of one of the paper circles. The size of this hole depends on the size of the top of your ornament. With Modge Podge paint around the top of the ornament. Put the paper circle around the opening. Again covering with another layer of Modge Podge. I really do love how my ornaments turned out and I am super excited to exchange! 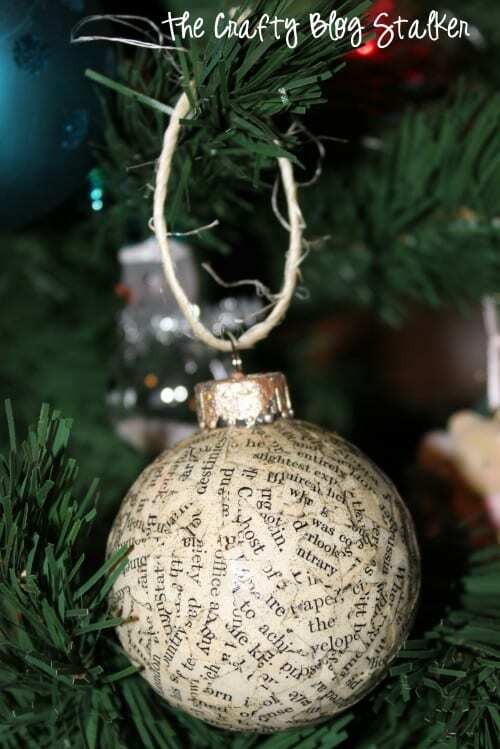 Do you have a handmade ornament that you cherish? Share and leave a comment below!